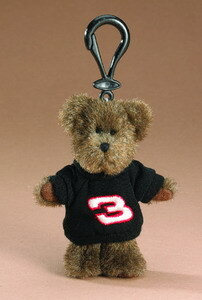 #3 Dale Earnhardt - Goodwrench / Acrylic Car Key Ring, by WinCraft. 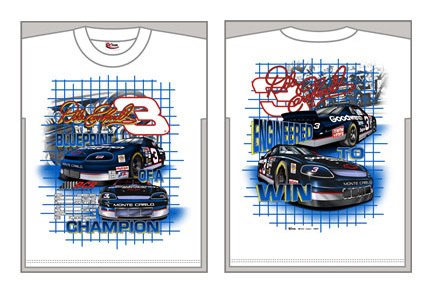 Officially licensed Dale Earnhardt premium acrylic NASCAR key ring with and colorful graphics. Made in USA. 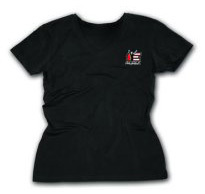 Key Ring measures 3.5" x 1.75"
Officially licensed, black ceramic mini-mug shot with raised graphics. 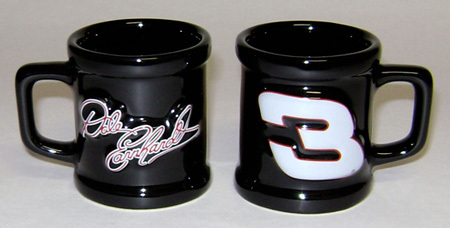 This mini-mug features the driver's number on one side, and replica signature on the other. 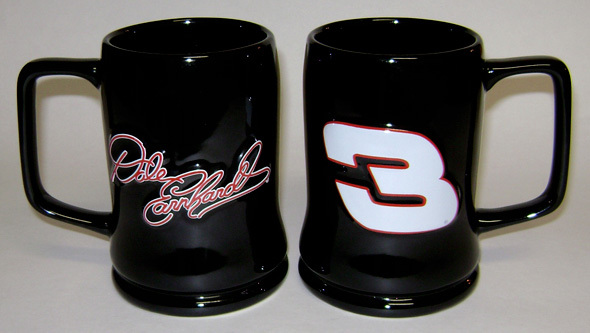 Officially licensed sculpted ceramic stein with raised graphics. This mug features the driver's car number on one side and replica signature on the other. 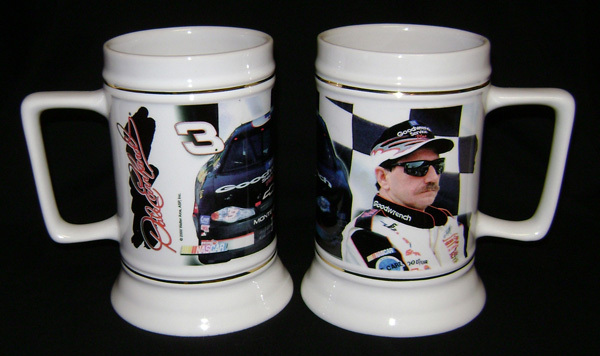 Officially licensed ceramic stein with sublimated graphics and gold band, above and below the image. 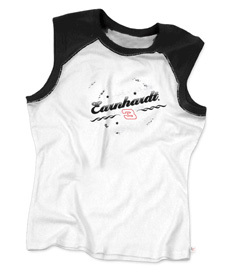 This stein features the driver's image, car number, car and replica signature. 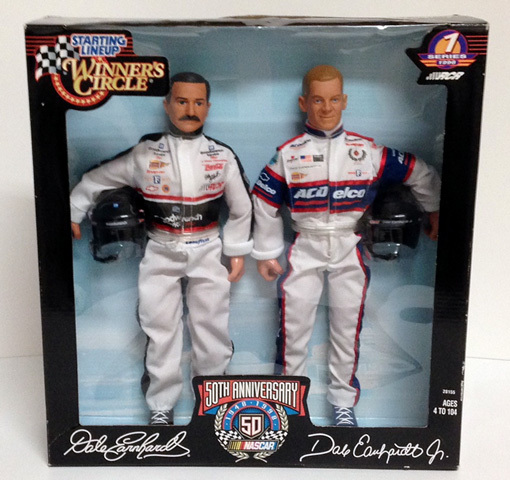 1998 Dale Earnhardt Sr and Dale Earnhardt Jr 12" NASCAR Doll Set, by Winners Circle. 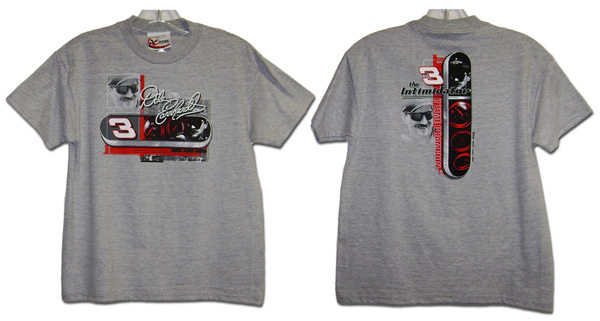 This NASCAR set includes 2 fully poseable 12" figures with driver suit and helmet. 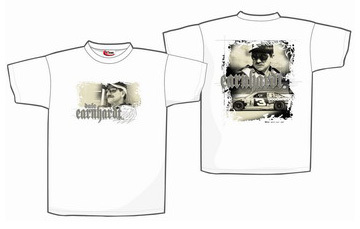 This classic father and son set includes a Dale Earnhardt Sr doll with GM Goodwrench Service Plus RCR driver suit and helmet and a Dale Earnhardt Jr doll with ACDelco DEI driver suit and helmet. 2005 Dale Earnhardt - Press Pass Legends / 1994 Champion NASCAR Trading Card, by Press Pass. 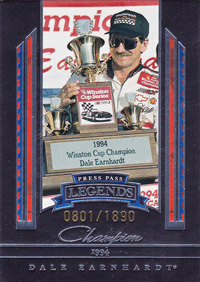 2005 Dale Earnhardt - Press Pass Legends Blue / 1994 Champion NASCAR Trading Card, by Press Pass. 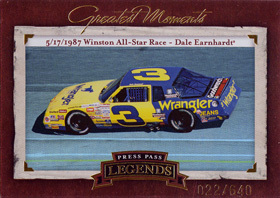 2005 Dale Earnhardt - Press Pass Legends Greatest Moments / 1987 Winston All-Star Race Win - "Pass in the Grass" NASCAR Trading Card, by Press Pass.